Anyone who’s been to New York City is familiar with the iconic red and yellow street carts selling tasty Middle Eastern specialties until the wee hours. 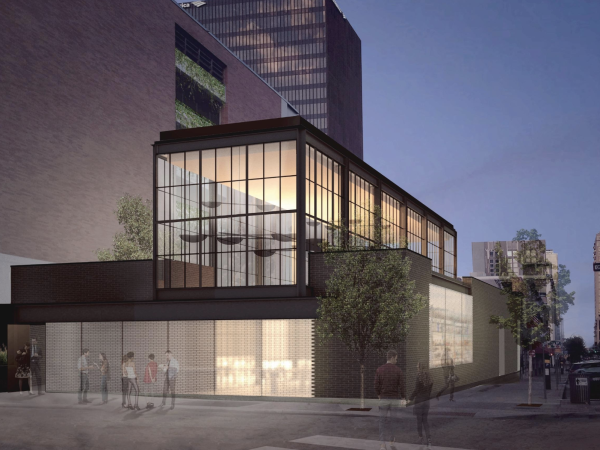 Now you can get your hands on the Big Apple's most popular street food when The Halal Guys opens its first Austin location at 2915 Guadalupe St. on July 15. 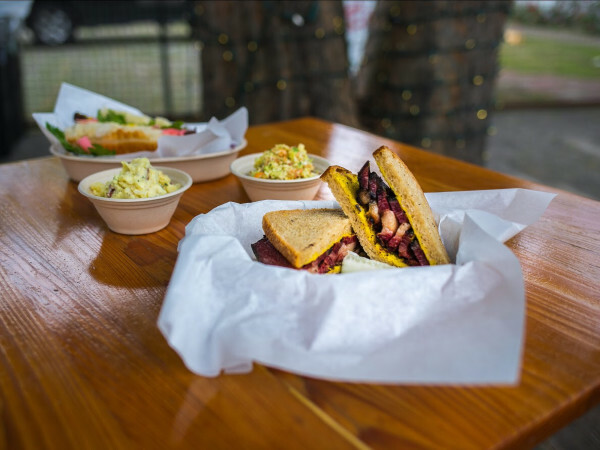 “The venture to Austin has been a long time coming as we think the city aligns perfectly with The Halal Guys brand," says Ron Steele, director of operations for The Halal Guys Austin, in a press release. "Our carts have become iconic in New York City and we're thrilled to bring the joy of our food to the West Campus neighborhood." 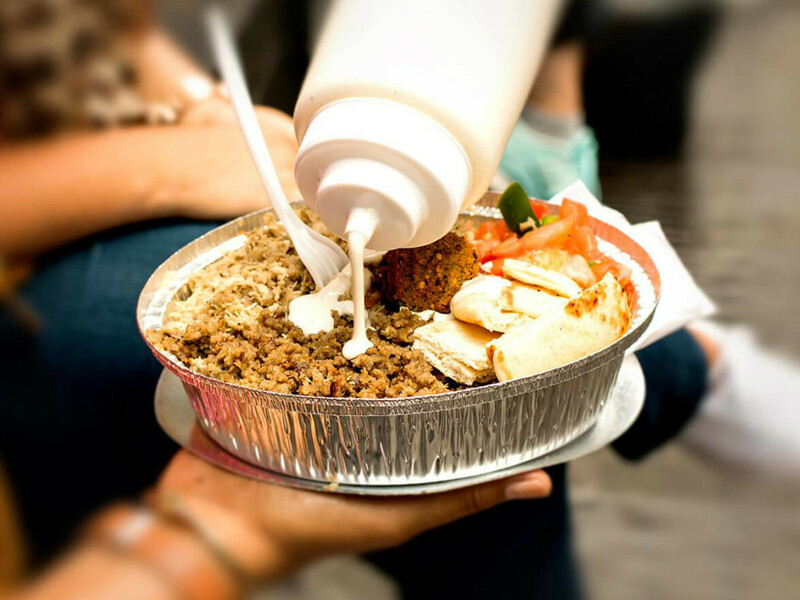 The Halal Guys offers simple Middle Eastern fare and Mediterranean-inspired dishes prepared with halal-certified meats and falafel, served inside pita bread or as a platter with rice, lettuce, and tomato, drizzled with their signature hot and white sauces. The street food empire's humble roots date to 1990, when three founding partners opened a hot dog cart in New York. Recognizing the huge demand from Muslim cab drivers for an inexpensive halal meal they could enjoy on the go, they came up with platters of flavorful and juicy chicken and gyro meat served over rice. Soon, the lines of hungry patrons stretched for blocks, and the menu grew to include fries, hummus and tahini, and baklava. With its massive success, The Halal Guys is expanding with over 200 carts and brick-and-mortar locations across the United States, Canada, and Southeast Asia. The empire already includes outposts in Houston and Dallas; this is the first location for Austin. 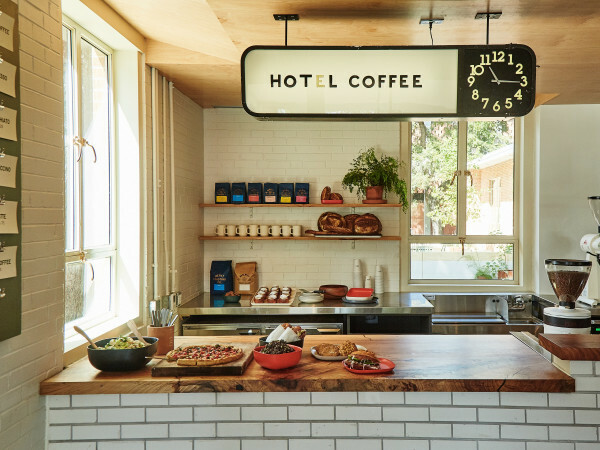 The Austin grand opening takes place from 11 am to 11 pm and will feature DJ performances, a raffle, free platters for the first 100 guests, and giveaways. The Halal Guys will be open daily for lunch, dinner, and late-night dining.